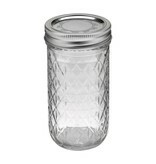 12 oz Quilted Crystal Jelly Jar with a Two-piece Lid and Labels. These are an old favorite with canners and mason jar meal fanatics. 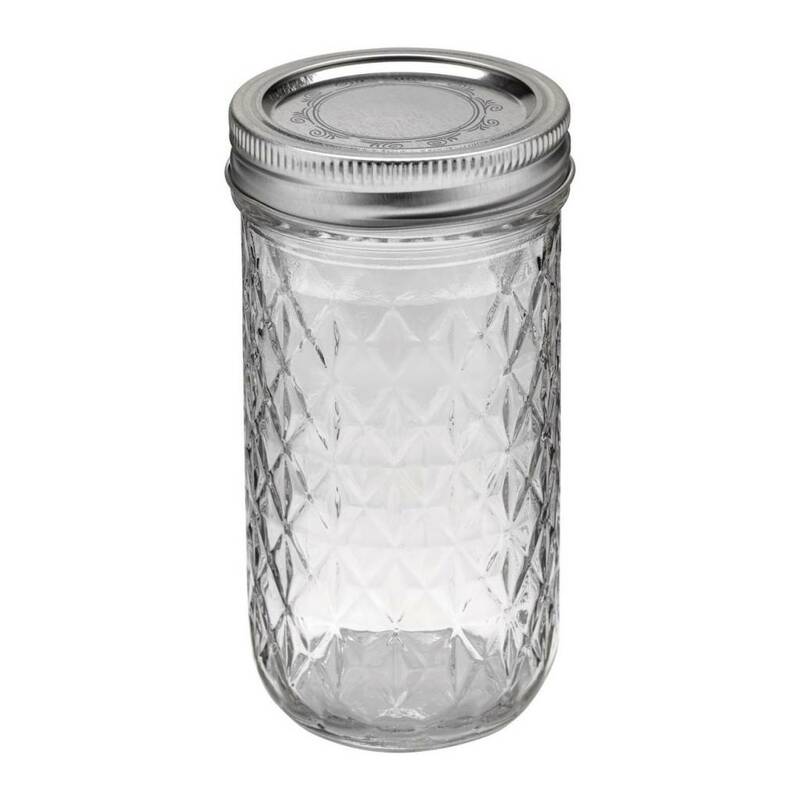 Because they do not have shoulders, they are easy to fill, easy to empty and can be used for freezing in addition to hot fill canning, waterbath canning and pressure canning. MADE in the USA.